CGI Rendering is a great way for Architects and Interior Designers to present their amazing projects. It immerses the audience into the world where the concept presented already exists, and gives them the taste of what it will look like. It blurs the line between virtual and real, and provides the Architects and Designers with a powerful weapon of persuasion. When the project is large-scale, the budget – huge, money – not a problem, the Architect doesn’t have to think twice. He may pick the most expensive and impactful CGI option, impose tight deadlines in case of need and forget all about this till the date when the 3D Visualization is ready. Sometimes, the Architect has a limited budget. It happens when he’s working on an investment project, and the money will be transferred only after its approval. So naturally, he’s looking for ways to cut the budget. To help the Architect out, we’ve gathered 10 ways he can optimize costs on 3D Rendering Services. Each view is done as separate CGI rendering. Therefore, the less of them you get, the lower is the price of 3D services. Just think carefully: which ones do you really need in order to present the best parts of the concept? Are there any that can be omitted without much effect being lost? Save money by having less CGI views, but of impeccable quality. 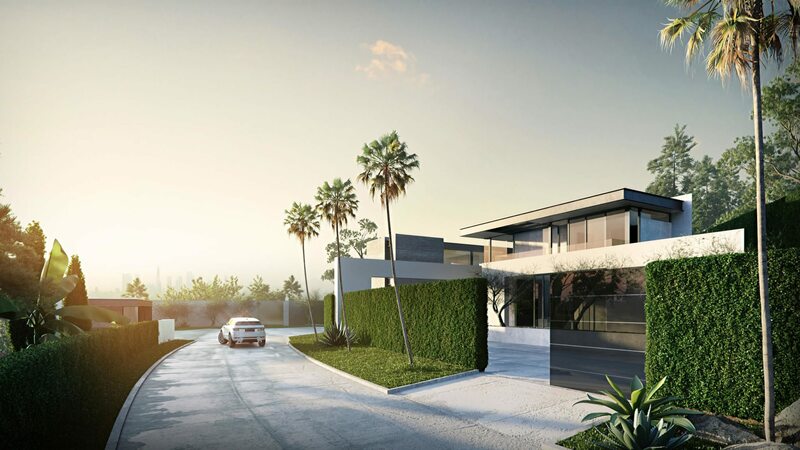 When CGI Rendering is ordered, the Architect or Designer specifies whether he wants certain objects to be modeled from scratch or borrowed from a 3D library. And modeling new furniture, interior accessories and decor might not be necessary after all. ArchiCGI 3D Rendering company has a library of 40k+ models, where clients always find the options that fit their needs. Moreover, the right model inspires the Designer – to add a new vibe with some different decor, for instance. Or even better – consider changing the task from design to visualization only. The principle is easy: the more work you do, the lesser is the task of your outsource 3D Rendering company. Calculations, drawings, other specifications – will certainly take more of your time. However, it’ll do the trick – the cost of work on the CGI Rendering is reduced substantially. For still more economy, submit a ready design, so that all 3D Artist has to do is 3D Visualization. Urgency calls for more money to be paid for the CGI project. So, if the time allows, don’t rush it. Give it time and your full attention instead – and you’ll be better off. The more detailed is the image, the higher the price is. And sometimes, you don’t need a full-scale presentation material. In fact, all you need to show the client is the concept. And then,you work in cooperation to get a the final picture. In that case, ask the 3D Rendering company you work with for a so-called intermediary result – a fast, gray render or just an image in lower resolution. They can represent an Architectural or Design concept perfectly, though without photorealism. You can learn more about each of those types in our special article dedicated to intermediate stages of 3D Model Render creation. Sometimes, the Architect or Designer has 3D modeling skills. Or he has a friends that does, and can do the task for free. Then, the Architect can save money on CGI Rendering project. In that case, include that 3D Model into Technical Assignment- and tick 3D Modeling Services off your project pricing list. In Exterior Design CGI projects, there are bound to be people on the background, enjoying life and interaction with the Design. They don’t need to be modeled and rendered along with the CG Image. A cheaper way is to add those details with help of Photoshop at the post-production stage. The same goes for secondary furniture or decor objects. The result will be less realistic, but still presentable and impactful. And the price – lower. Reducing the volume of work is a sure way to save money too. Сut down on secondary elements, that are not a crucial part of the Architectural Visualization project. As a result, the work volume decreases, and so does the cost of CGI Rendering. That option is available if you have multiple Designs to present. Then, you can order not one, but a few CGI Rendering Projects at once. As a consequence, 3D Visualization company knocks the price off for the benefit of future cooperation. As you can see, it is still possible to present an Architectural project with CGI power when the budget is tight. Use these tips to minimize the cost of the 3D Rendering process, and win the clients over with amazing concepts. Need affordable and high-quality CGI Rendering Services? Contact ArchiCGI company. We know how to turn your Concept into a dazzling 3D Image and save your money in the process. Just fill out a form on the Contact Page of our website! The manager will call you back. May your CGI projects win the clients from the first sight!